Our New York Style Cheesecake Recipe is for those longing for dense, soul satisfying, unbutton-your-jeans kind of cheesecake. It’s a full 7 pounds of eye-rolling yum. New York-Style Cheesecake with Blueberry Topping has become the standard for my husband’s birthday cake. He’s married to a food blogger and knows he could pick any dessert, from anywhere, and I’d make it for him. But he also knows if he picks something else, there won’t be cheesecake … and he loves cheesecake. New York-style, to be precise. Great cheesecake does not need any topping, however, when topping is a birthday request, you make it. Fresh fruit is also nice. In my book, a measly tablespoon of lemon juice is not enough to balance the richness of the filling. There must be zest. Graham cracker crust is better with coconut palm sugar, or brown sugar … and real butter. If you don’t really know your oven, get an oven thermometer to be sure the temp is right. A fabulous cheesecake is worth the small investment in a springform pan. You don’t want to have to dig your treasure out of a lesser vessel. 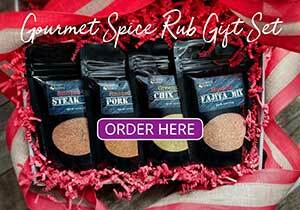 Let it set out at room temperature for at least 30 minutes before serving for optimum flavor. When the celebrating is done, freeze the remaining cheesecake in slices on a rimmed baking sheet. Once frozen, wrap each slice in plastic wrap and keep in the freezer. To thaw, unwrap while frozen and defrost in a container in the refrigerator. 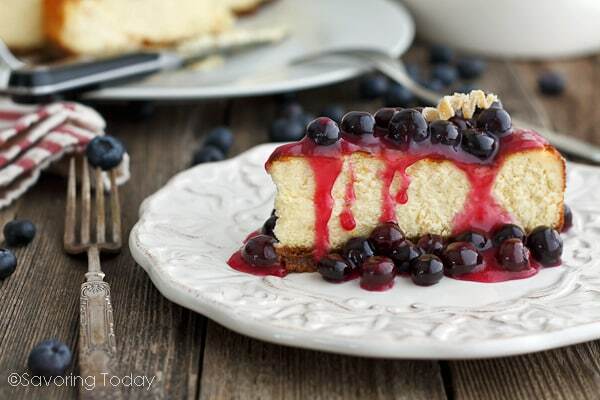 Rich, creamy cheesecake with a graham cracker crust topped with blueberry sauce. 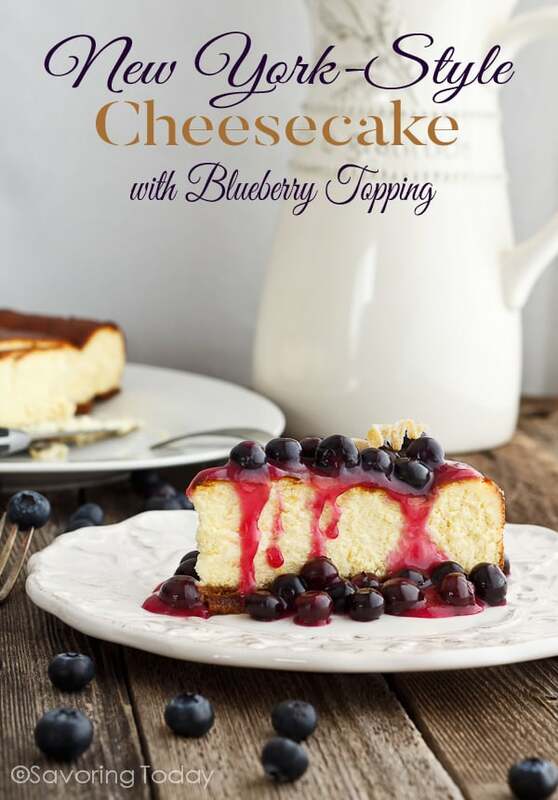 This luxurious cheesecake recipe has a rich, dense texture, perfect for special occasions. Adjust oven rack to lower-middle position and heat oven to 350° degrees. Process graham cracker crumbs until fine, add brown sugar and process to incorporate well. In medium bowl; add processed crumbs with 6 tablespoons melted butter and toss with fork until evenly moistened. Brush bottom of 10 1/2-inch springform pan with additional melted butter. Pour crumbs into springform pan and press evenly into pan bottom. Bake until fragrant and beginning to brown around edges, 6-8 minutes. Cool on wire rack while making filling. While preparing the filling, increase oven temperature to 500°F degrees and bring 2 cups of water to a boil in a kettle or pan on the stove. Once boiling, pour the water into a 9x13 pan and carefully place the pan on the lowest rack of the oven, just under the rack for the cheesecake. In a mixer, beat cream cheese at medium speed to break up and soften slightly, about 1 minute. Scrape beater and sides of bowl well after each add-in to be sure all the ingredients are well incorporated. Mix-in salt and sugar; beat at medium-low speed until combined. Add sour cream, 1 tablespoon lemon juice, all the zest, and vanilla; beat at low speed until well mixed. Add egg yolks and beat at medium-low speed until combined, then add remaining whole eggs two at a time, beating until thoroughly combined and smooth, scraping bowl and beaters between additions. Just above the crust edges, brush sides of springform pan with melted butter. Set springform pan on rimmed baking sheet to catch any pan leaks. Pour filling into pan and bake 10 minutes. Then reduce oven temperature to 200 degrees and continue to bake until instant-read thermometer inserted into center of cheesecake registers 150 degrees, about 11/2 hours (check at 1 hour, 15 minutes). Remove from the oven and run a paring knife around inside of pan to make sure the cake releases from the sides (this will help prevent it from cracking as it cools). Cool completely in the pan on a wire rack, 2 1/2 to 3 hours. Wrap tightly in plastic wrap and refrigerate until cold, at least 3 hours. Reserve 1/2 cup of blueberries for garnish. In a small saucepan over medium-high heat stir together the sugar, cornstarch, water, lemon juice, and lemon zest. Cook over medium heat, stirring until thickened, about 5 minutes. To unmold cheesecake, run paring knife around inside of pan and remove sides of pan. Slide thin metal spatula between crust and pan bottom to loosen, then slide cake onto serving plate. Let cheesecake stand at room temperature about 30 minutes before serving. When cutting the cake into wedges, wipe the knife clean after each cut to make neat slices. 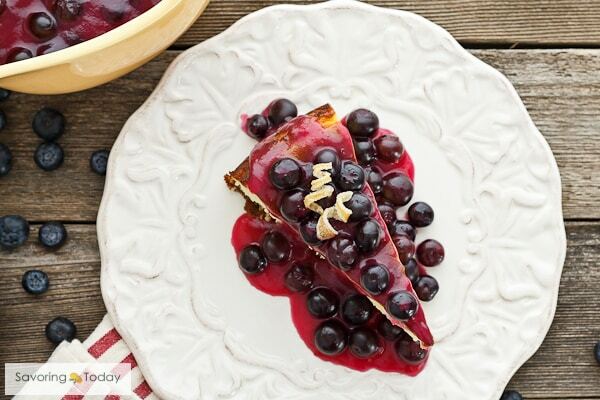 To serve, dress each piece with Blueberry Topping and fresh blueberries. To make this dessert gluten-free, use gluten-free graham crackers for the crust. Make-ahead: Cheesecake can be made several days in advance and leftovers can be frozen with good results. Definitely for special occasions, so rich and good! Love cheesecake! I often crave a key lime pie for my birthday “cake,” but cheesecake often makes the cut, too. This is perfect — so rich and luscious. Yum!